Agonist is a surprisingly awesome debut album. Latitudes has a heart of sludge, but a soul of darkness. Operating primarily under the NeurIsis doctrine, Latitudes sets itself apart with progressive movements and a diversity of influences. While primarily an instrumental album, a couple of songs have excellent clean vocals. Latitudes harvests some of the melodic synergy that works so well for bands like Pelican and Burst. There are Mastodonic movements with riffs that scrape deep distorted trenches then reach up to be infused with melody. The clean guitar passages are excellent throughout and frequently peer over the precipice into darker Opethian depths. I think the distinguishing mark of this album is the clean vocals. "Antechamber" and "Hunting Dance" make me think first of Paul Masvidal's work on Traced In Air. The singing exhibits Steve Wilson's melodic sense with some of the bravery of Robert Reinholdz from Burst. It's infectious and entirely memorable. The production on Agonist is rich and deep, with a wide open feel. The entire album is driven by an absolutely wicked rhythm section. If anything, Agonist is too short. When I reach the last track, I'm thirsty for more. Nothing drags or bores me here; it just flies by. I definitely recommend checking this out. 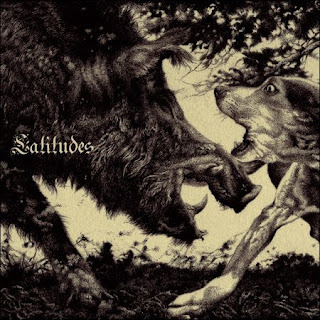 Latitudes is a band only inches from forging a completely unique identity. I think they should add the clean vocals to more of their music - the singing here is the sauce that will push them above the crowd. Great album indeed! I was really surprised the first time I listened to it ; it's a lot better than the EP.